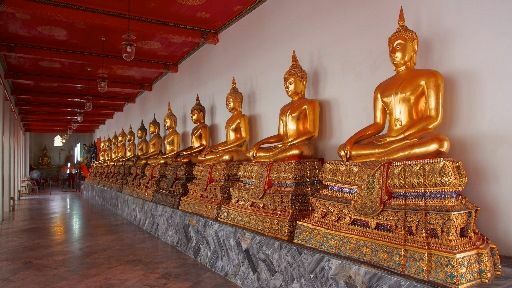 The Wat Ratchapradit offers a quiet corner to get away from the busy streets of the city. 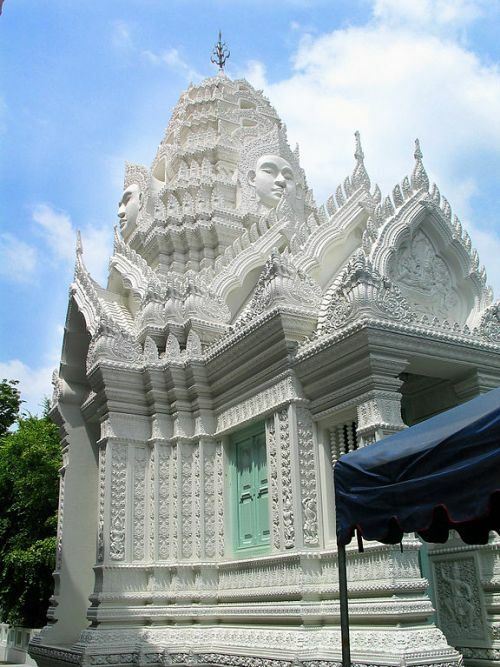 The Wat Ratchapradit offers a quiet corner to get away from the busy streets of the city. Once a royal coffee plantation during the reign of King Rama III, it was converted by King Rama IV to a temple in 1864. His intention was to make it a Thammayut Sect temple, according to the customary practice of having three eminent temples in the capital city of the Kingdom (the others being Wat Mahathat and Wat Ratchaburana). A place of interest in the temple is the royal image hall (Phra Wihan Luang), which has mural paintings depicting royal ceremonies, including the 'Legend of the Solar Eclipse' phenomenon that occurred during the reign of King Rama IV. There are some interesting artifacts in the temple, including some of King Rama IV's ashes that are now interred at the base of the Buddha. Also staged here are gifts King Rama IV got when he was installed as a monarch, such as French floor and ceiling lamps, English street lamps and a German clock that is still ticking today.